The LabelWriter Wireless uses Direct thermal print technology which eliminates the need for costly desktop printer ink or toner. All you need is labels - no ink, toner or ribbon required. - (1) Address Labels Starter Roll. 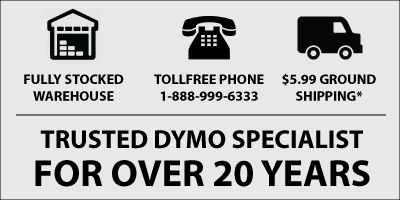 - (1) DYMO Stamps Starter Roll. - The Dymo LabelWriter Wireless WiFi Label Printer is compatible with all nearly every Dymo LabelWriter Label size - the only exception is the Dymo 4XL extra large labels. - It is 100% compatible with Dymo Stamps.